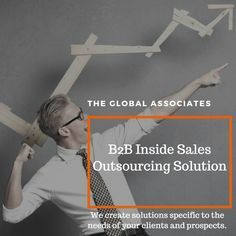 It is mighty important for The Global Associates Telesales Companies to determine whether a prospect is motivated enough to buy from them. It’s one thing to have a nice long discussion with the prospect and get a seemingly favorable response from them; it’s quite another to be able to sell to them. You may come up with the pain point of the customer, in fact they may also be aware of their pain; but if they lack motivation, they may still live with their pain for years to come. If this lack of motivation is not judged soon, telesales companies will lose a good amount of time and effort pursuing the customer. Telesales companies often invest time and effort on the prospects who talk nicely and show interest, but some of these customers just keep them waiting endlessly. It is necessary to judge if a customer is motivated enough to alleviate their pain before you spend your time and effort. If you break down the factors of motivation and see how your customer fares on them, you can get an idea about how motivated they are. So, what are these factors of motivation? Let us take a look at these factors. The courage and experience to go out of the way to adopt something revolutionary. You need to encourage the customer to come forward in the sales process; if they don’t, they simply don’t have the required motivation to solve their issues. They are not likely to award the deal soon, concentrate elsewhere. However, keep them in a follow-up program to see if they buy from you in future. It’s imperative for telesales companies to judge the motivation of a customer. Trying to convince an unmotivated customer may not be worth your time and effort; move on to more motivated customers to get better results.